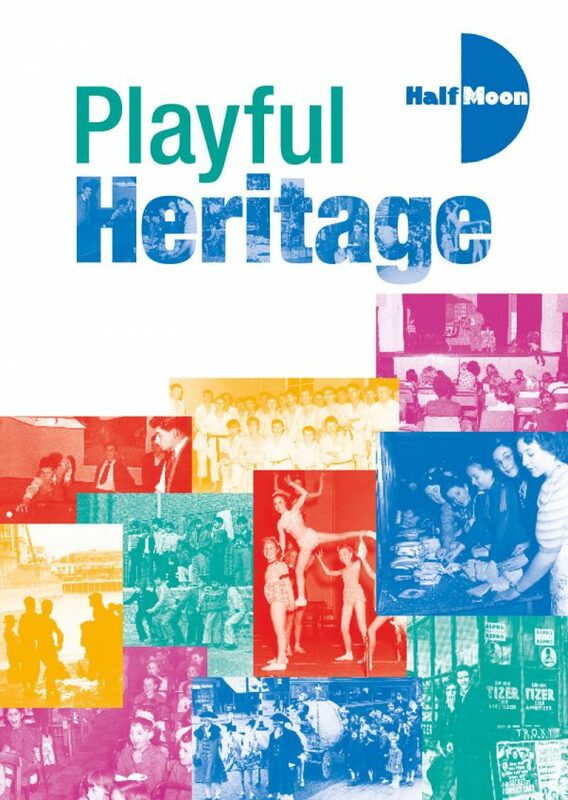 Since the first Half Moon Theatre show created and performed by young people in 1975, Youth Theatre has been central to Half Moon’s ethos of creating opportunities for local young people to make their own theatre in a professional environment. 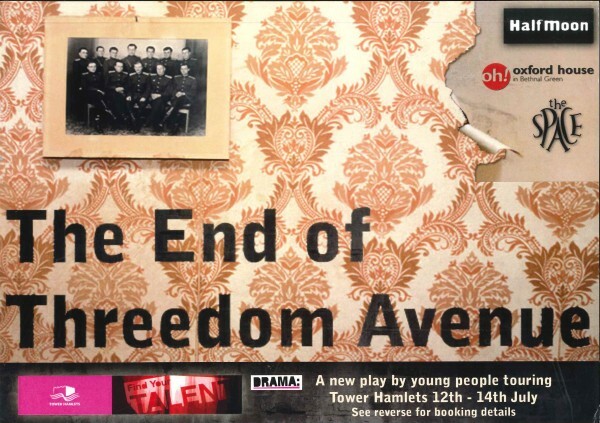 The company has always had an inclusive policy regarding Youth Theatre to ensure that activities are open to all young people without audition and regardless of their backgrounds and abilities. 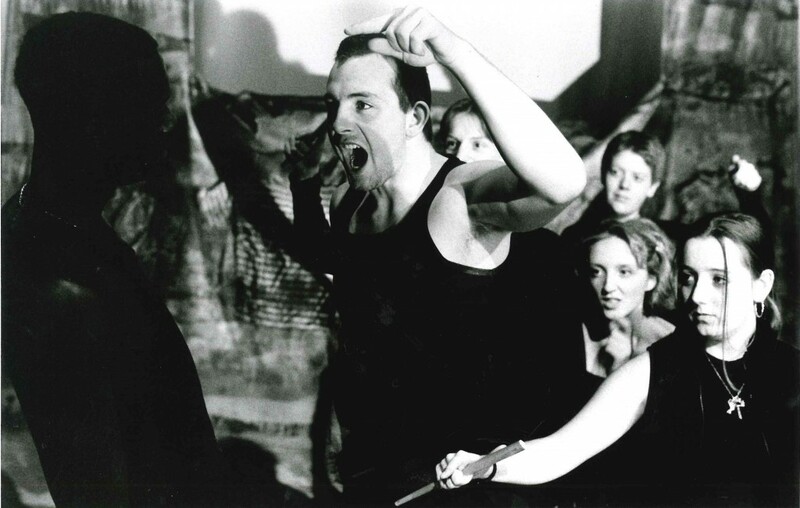 Below we profile some important Youth Theatre performances since the first in 1975. 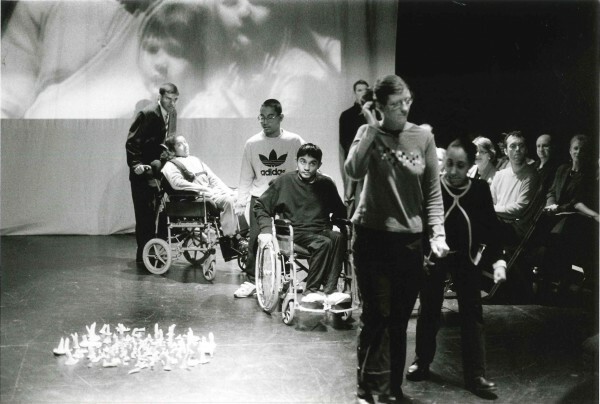 Jacqui Adeniji-Williams, ex Youth Theatre member and disabled artist, talks about how her mum encouraged her to join Half Moon’s Youth Theatre and how that influenced her career choice. Interviewed by Rio Puffett. 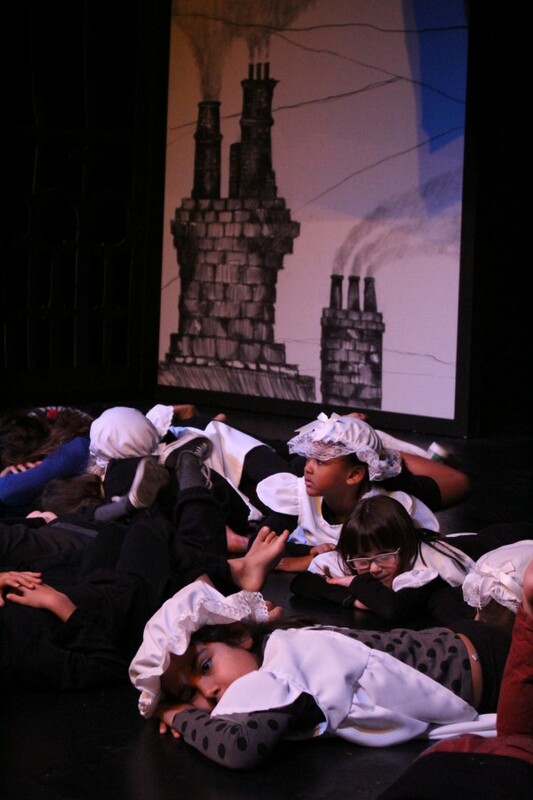 Chrystal Vidal talks about why she enjoyed attending the Youth Theatre at Half Moon. Interviewed by Cara Smith. 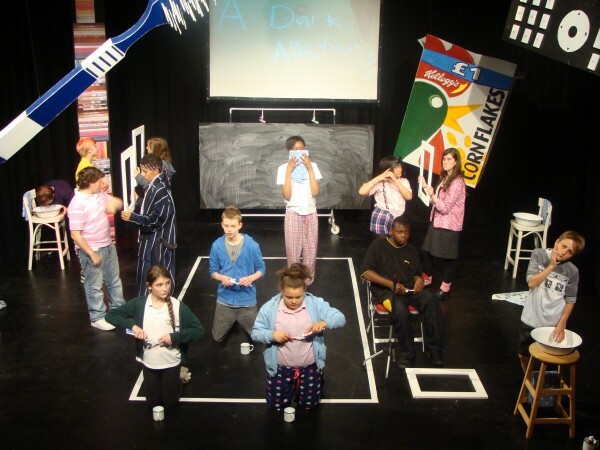 A trustee at Half Moon, Julia Williams, explains how her involvement with Half Moon’s Youth Theatre as a teenager led her to become a drama teacher. Interviewed by Toni Tsaera. Hammed Animashaun is an actor who was a member of Half Moon Youth Theatre in the 2000s. He explains his route to becoming a professional actor and why he always says he was “trained at Half Moon”. Interviewed by Beccy Allen. 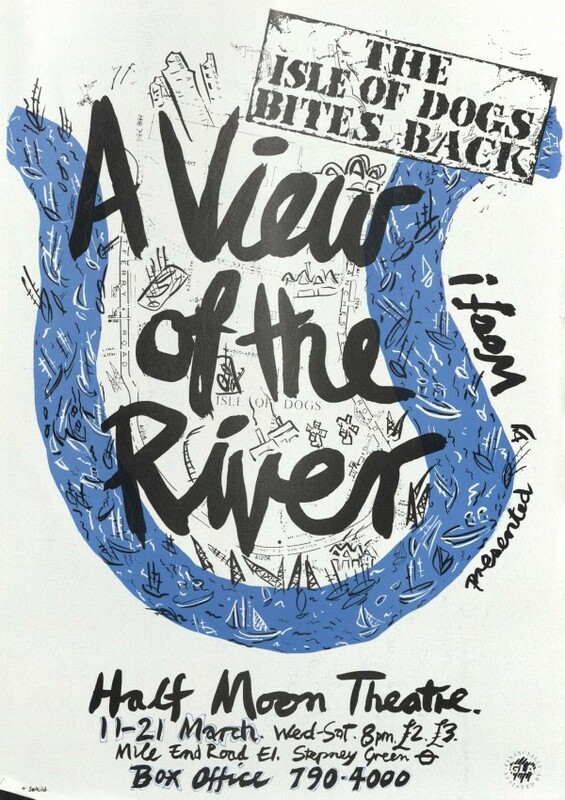 Marie McMahon attended the Youth Theatre for ten years, from the age of 11. Here she recalls how nervous she was when she first performed in The East End Festival and what she got out of her years with the group and why her own son now attends. Interviewed by Toni Tsaera. Paul Christian is a performer whose first opportunities to perform were with Half Moon Youth Theatre and Summer Schools in the late 1990s. Interviewed by Luca Verracarroll. 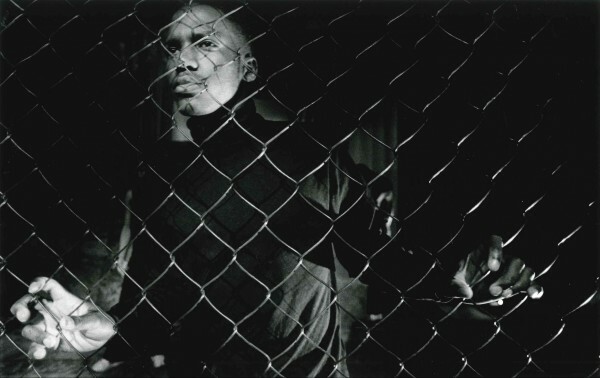 Photographer, Raju Vaidyanathan talks about first coming across Half Moon Theatre in the 1980s when he took a Creative Arts course at Tower Hamlets College. He talks about participating in the Youth Theatre and how Andy Sinclair gave the group the confidence to take on a production of Brecht’s Mother Courage. Interviewed by Rosie Vincent. 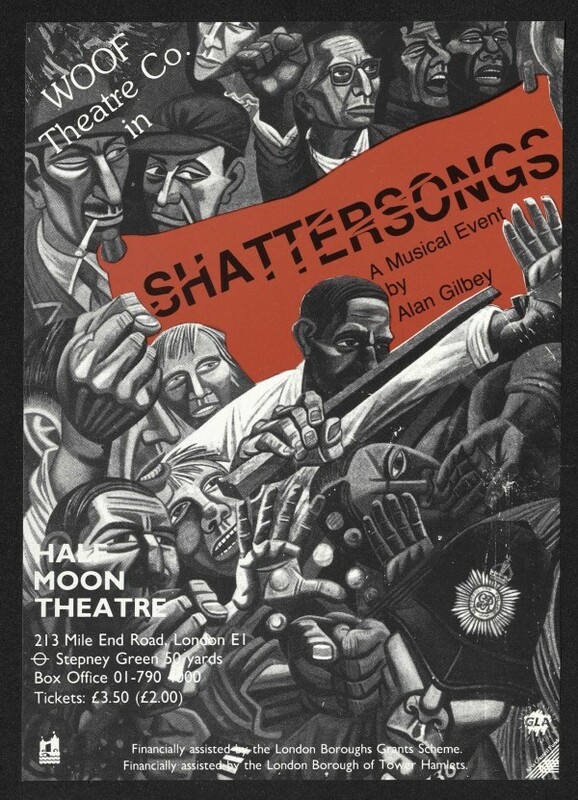 Peter Sunderland was one of the first young people to be involved with Half Moon in the mid 1970s. 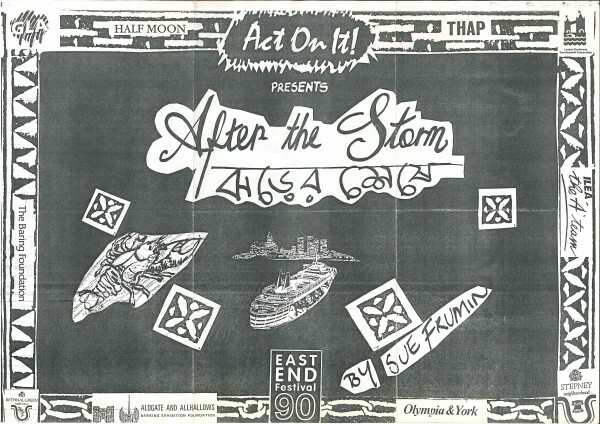 He and his mates were encouraged by Guy Sprung to write a play about their experiences on the Isle of Dogs which they performed at Half Moon Theatre. Interviewed by Keira Blasse. Loesje Houghton the Administrator with Half Moon Theatre, remembers how the youth theatres were first established in Berner Street. Interviewed by Rosie Vincent. 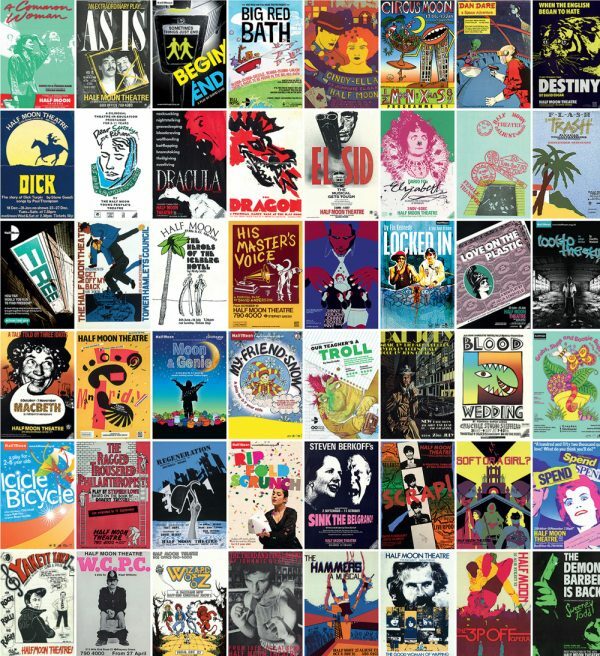 Elizabeth Lynch has had a long association with Half Moon Theatre since the 1980s. She talks about working with the company on a youth theatre performance, Ancestral Voices, as part of the London-wide LWT Challenge. Interviewed by Rio Puffett. Chris Elwell has been the Director of Half Moon Theatre on White Horse Road since 1997. He talks about the ethos of the company’s Youth Theatre groups. Interviewed by Kavana Joyett. 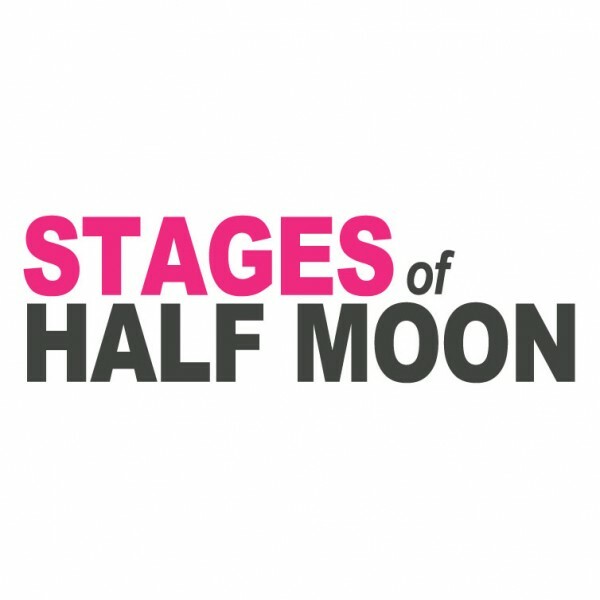 Vishni Velada-Billson was Education Officer at Half Moon Theatre on White Horse Road in the late 1990s and became Associate Director in the early 2000s. She talks about the open access policy of the Youth Theatres at the theatre and the diversity of the groups. Interviewed by Daisy Snooks. Daryl Beeton was an actor and drama facilitator who worked for Half Moon Theatre before becoming Associate Director at Half Moon Theatre in the early 2000s. He talks about the company’s inclusive Youth Theatre groups and how young people are given the opportunity to progress creatively over time. Interviewed by Toni Tsaera. 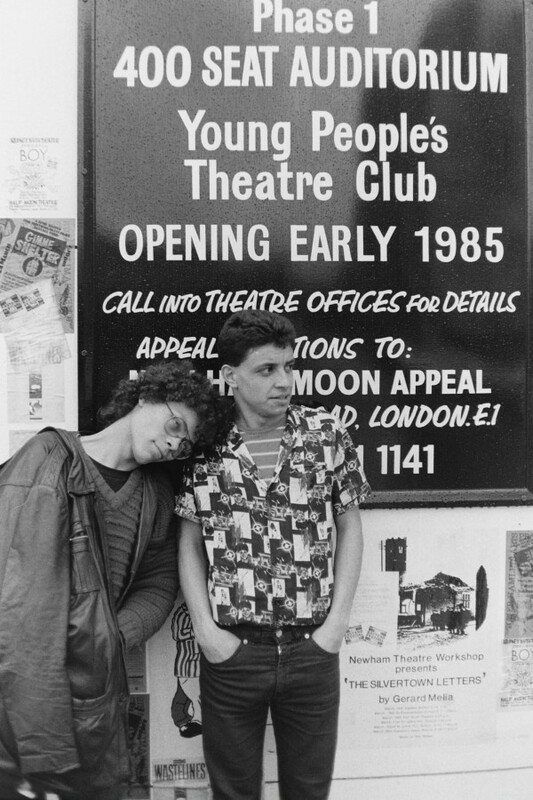 Ché Walker, son of Artistic Director Robert Walker, recalls the mix of local young people taking part in the youth theatre groups at Half Moon Theatre during his father’s tenure. Interviewed by Georgina Da Silva. 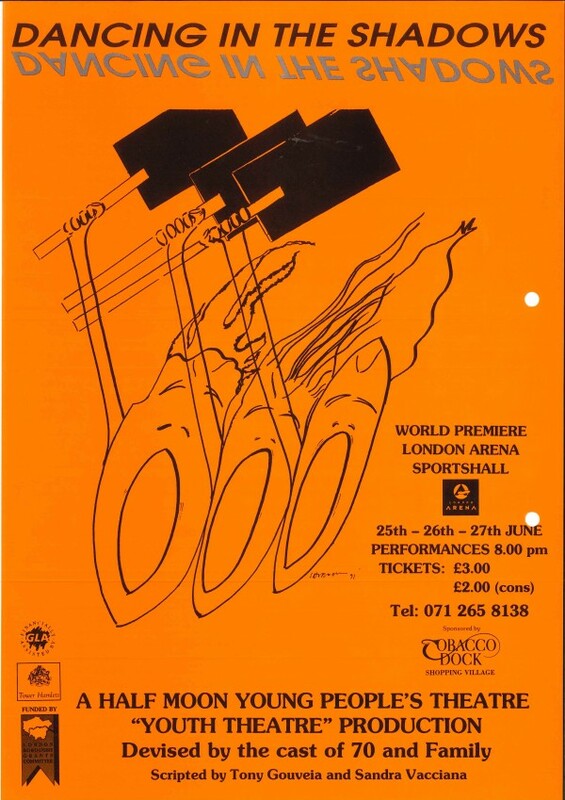 Peter Conway talks about the origins of the young people’s company at Half Moon Theatre in 1974, when he and Murray Edmond were taken on to do drama work in youth clubs in Tower Hamlets. 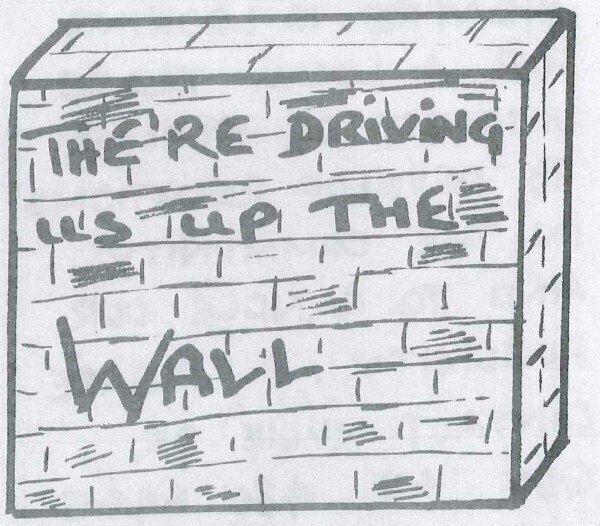 He talks about the youth production, Driving Us Up The Wall. Interviewed by Toni Tsaera.